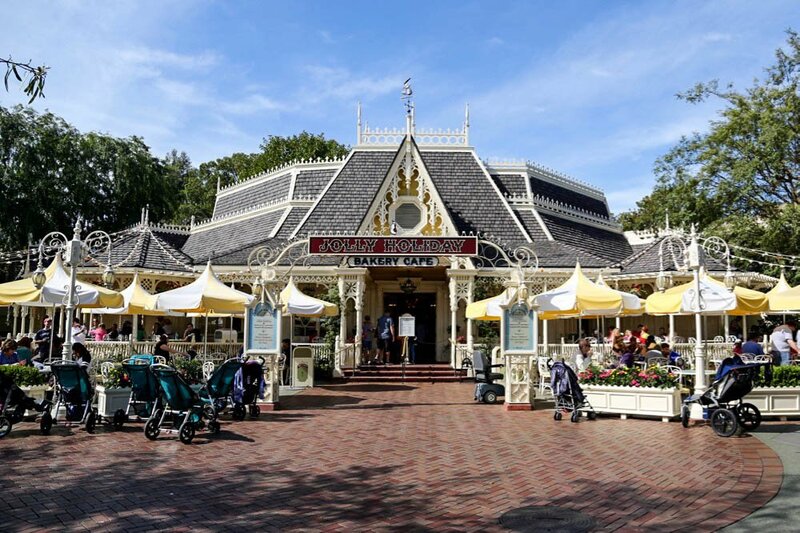 You'll find a great variety of dining options in Disneyland Park, from the classic surf & turf at Blue Bayou, to the fan-favorite corn dog at the Little Red Wagon. 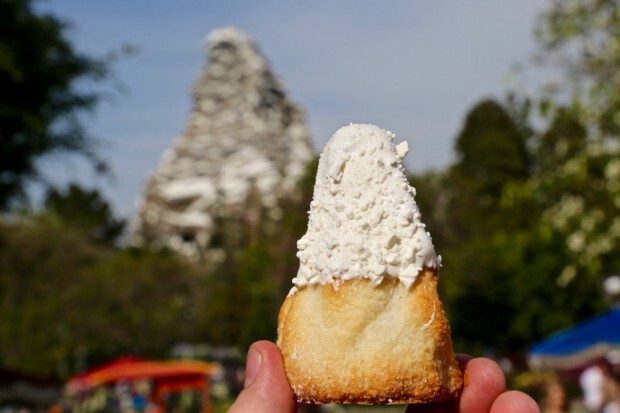 While "theme park food" is available, even a burger & fries can be magical at Disneyland. 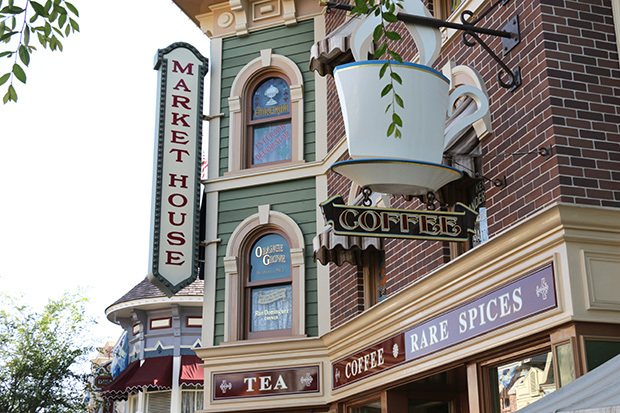 In the morning, stop by Jolly Holiday Bakery Cafe on your way into Disneyland for fresh pastries, specialty coffees and a great view. 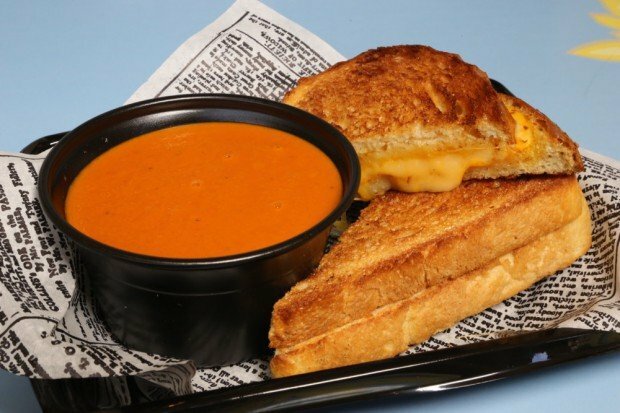 At lunch or dinner, try one of their signature entrees, including sandwiches, salads, soups and quiches. All seating is outside. Breakfast includes a full array of favorites, including Mickey Mouse-shaped waffles. For lunch or dinner, you can choose from soups, salads, sandwiches and hearty entrees, plus gourmet coffees, and ice cream for dessert. 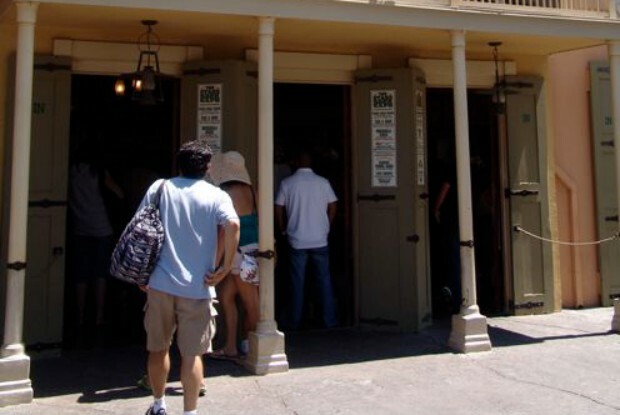 This restaurant is located in the middle of Main Street, across from the lockers. You sit inside or outside in a covered patio. Priority seating is recommended. 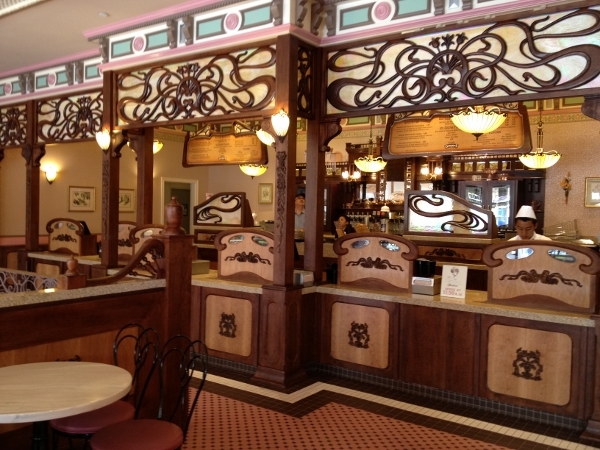 Get a delicious ice cream cone, sundae, shake or float, and relax in the old-fashioned ice cream parlor. 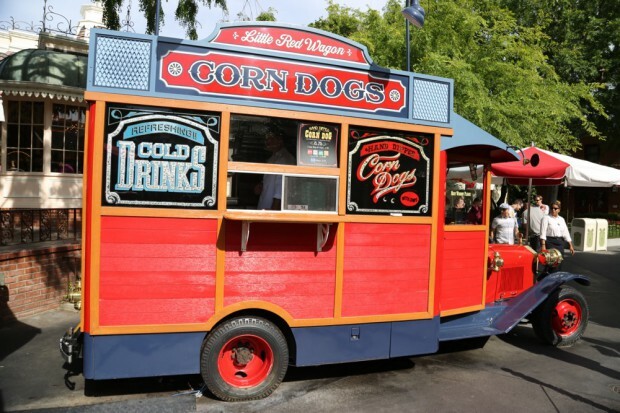 Located next to the Plaza Inn at the end of Main Street, This Little Red Wagon features Hand Dipped Corn Dogs, Chips and Cold Drinks. 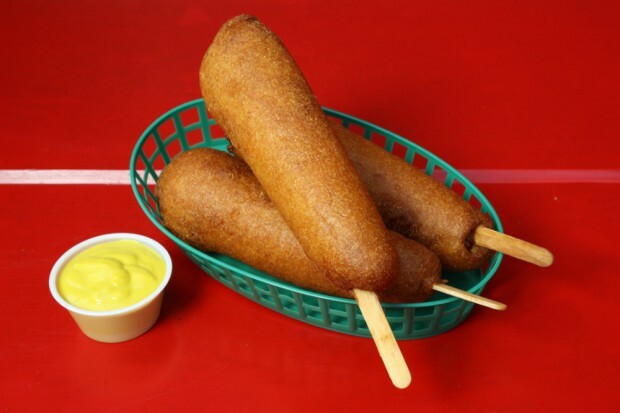 Bring your appetite, because the corn dogs here are definitely a full meal! 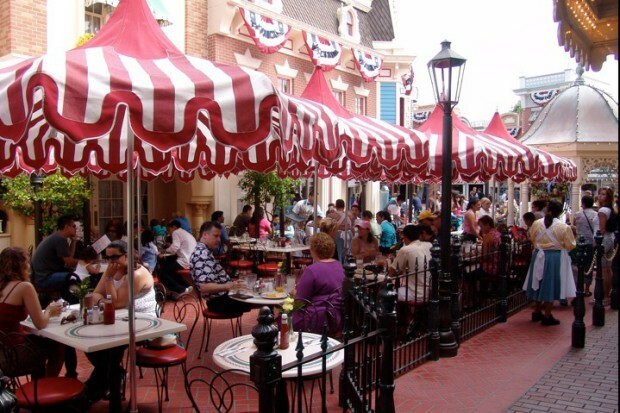 In the morning, the Plaza Inn features a character breakfast with Minnie and Friends, includes all you can eat with omelets cooked to order, as well as other typical breakfast fare. 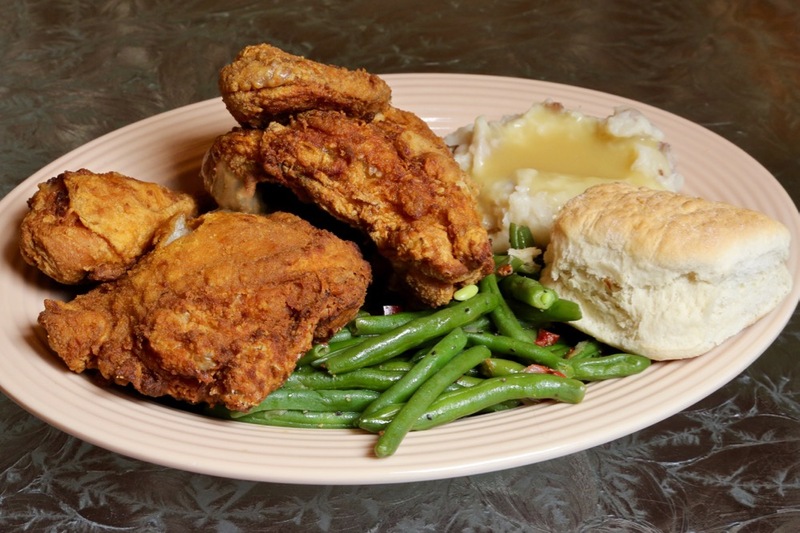 Lunch and dinner entrees feature generous portions of fried chicken, pot roast, penne pasta, salads, and other home-style dishes. Dessert includes pie, cake, and other treats. 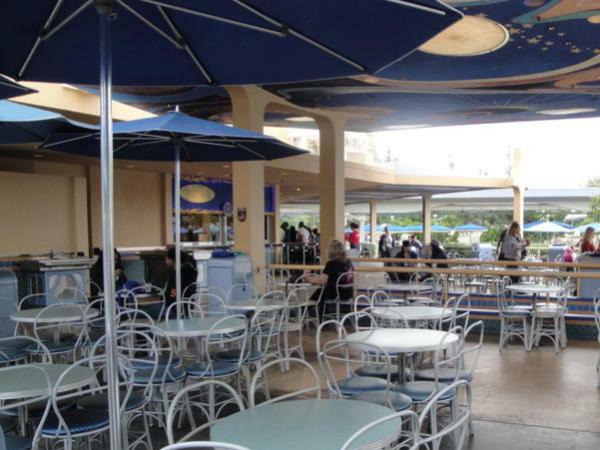 Plaza Inn has seating inside and outside on the patio. 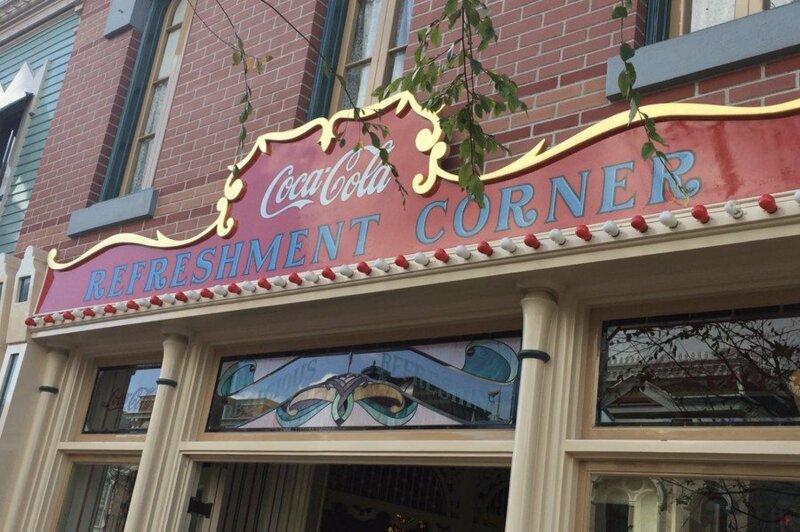 Also known as Coke Corner. Serving chili dogs, pretzels and beverages. This is a nice place to stop and listen to the lively piano music as you relax. 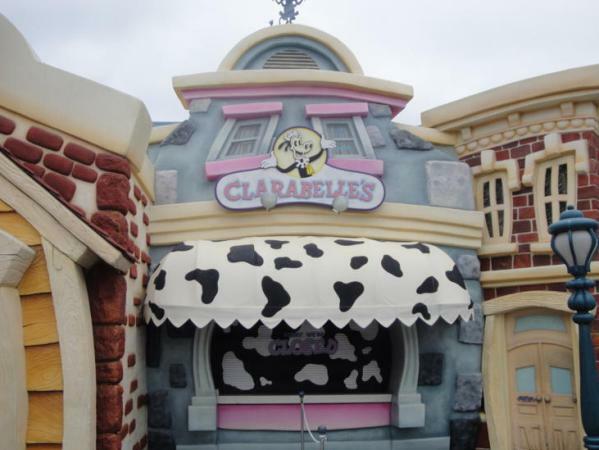 Located across from the Plaza Inn. 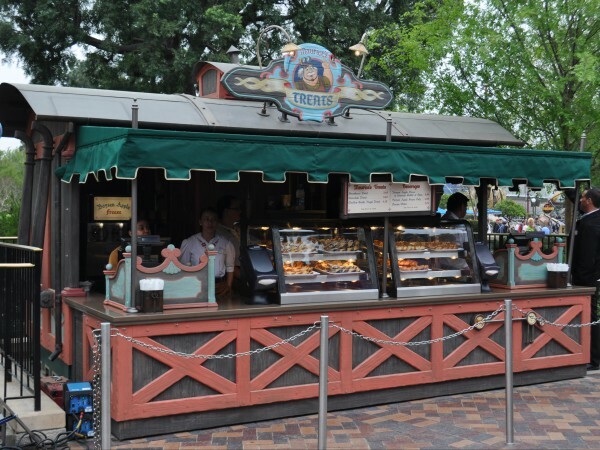 Enjoy a cup of Starbucks of coffee, plus both Starbucks and Disneyland pastries and sandwiches. 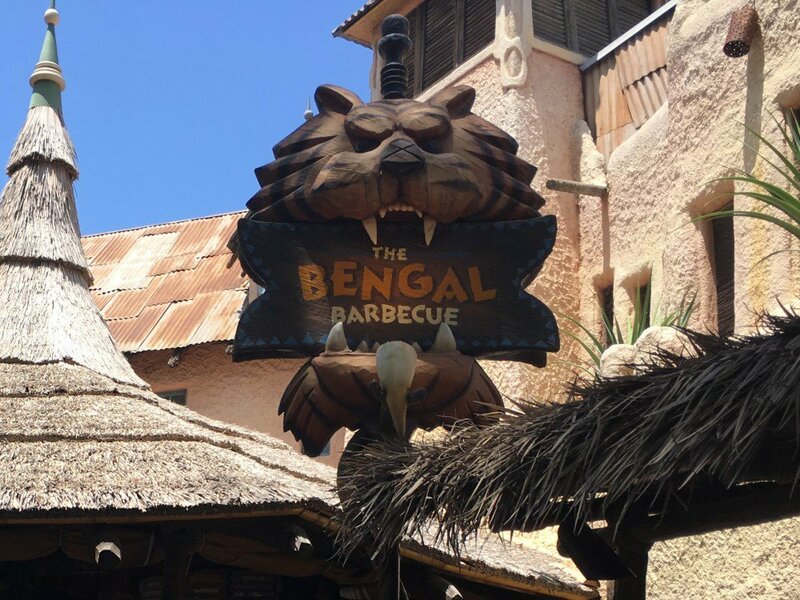 Located across from the Jungle Cruise and Indiana Jones Adventure, this quick serve location features chicken and beef skewers topped with Polynisian-inspired sauces. 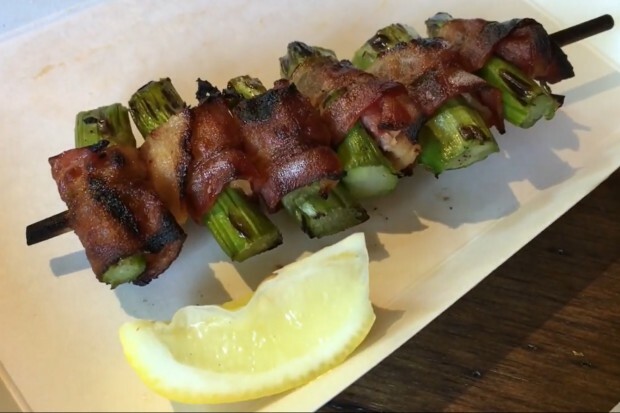 You'll also find a veggie skewer and the local favorite, Safari Skewer, featuring bacon-wrapped asparagus. A large seating area with tables and counters is next door. 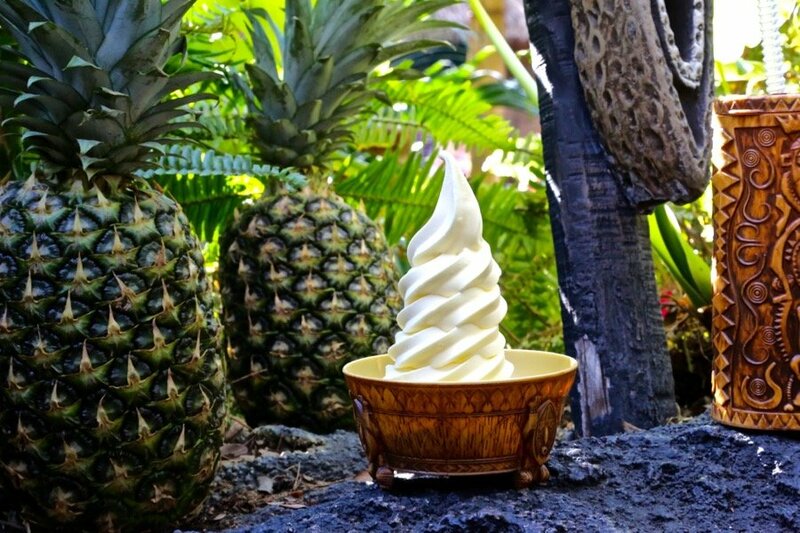 You can get refreshing Dole pineapple juice or Dole Whip (soft serve ice cream) here. This is located at the entrance to the Tiki Room. 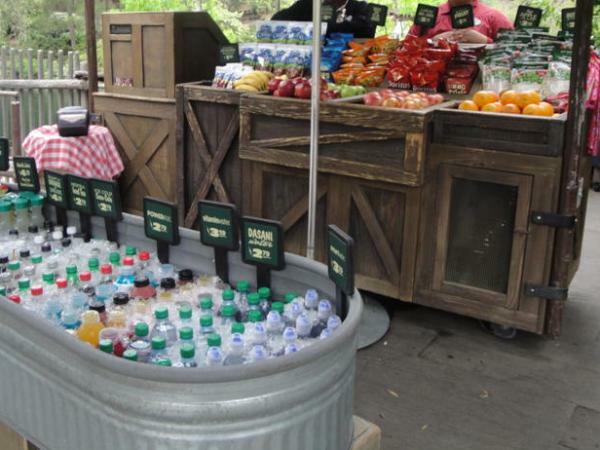 Located near the Bengal Barbecue, this fruit stand offers in-season fresh fruit, soft drinks and bottles of water. 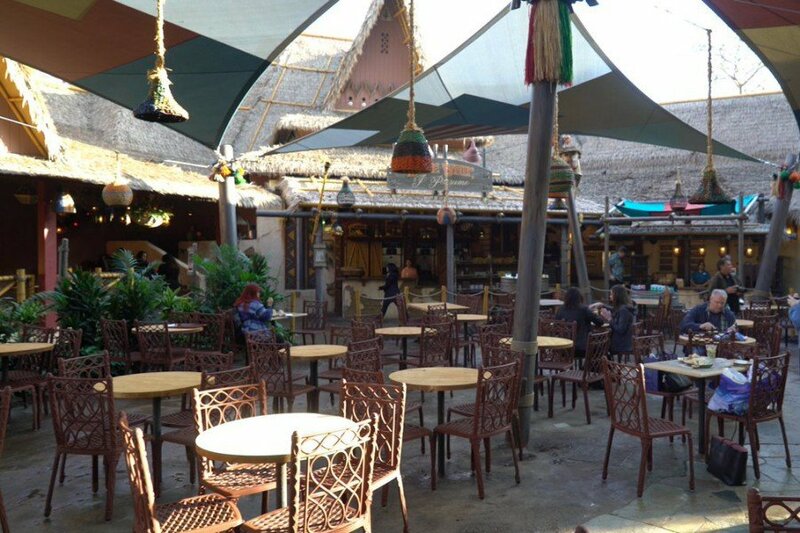 Formerly Aladdin's Oasis. 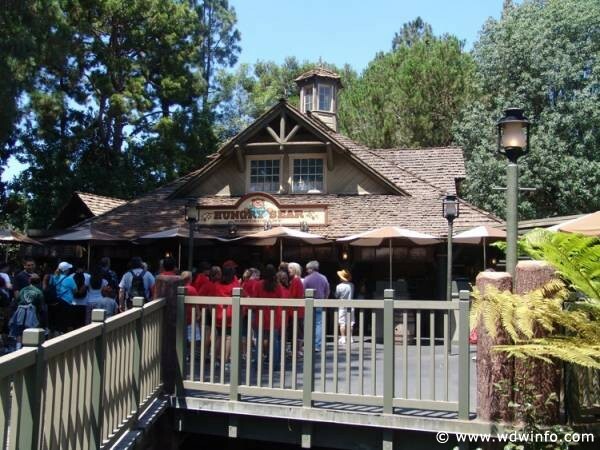 Visit with Jungle Cruise skippers as you sit on an open-air dock and enjoy tropical music. At night, torches light the area. On the river's edge at the loading dock, Rosita shares her collection of zingers and one-liners. Rosita was a member of the bird choir for many years before heading out on a solo career. 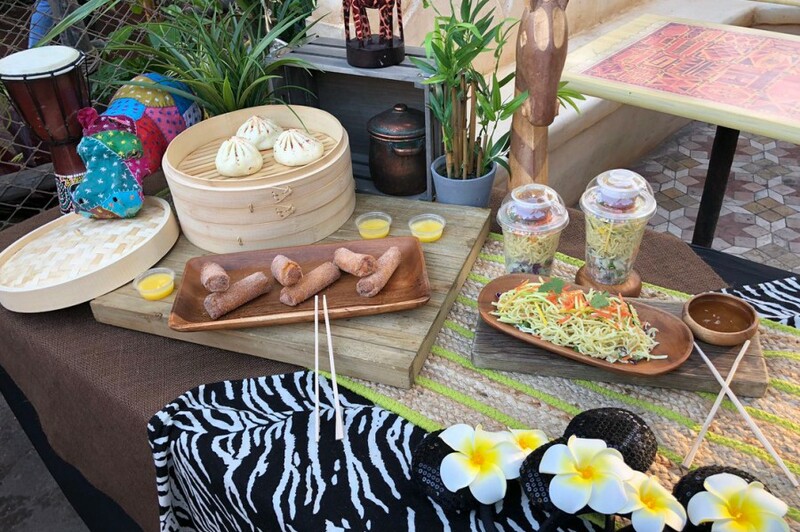 The menu includes a variety of bao buns, chilled ramen salad, sweet pineapple lumpia, and Dole Whip floats and swirls. 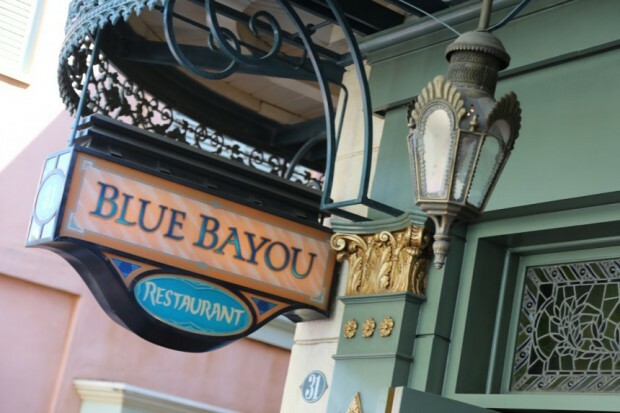 For a special treat, have a meal at the Blue Bayou Restaurant. 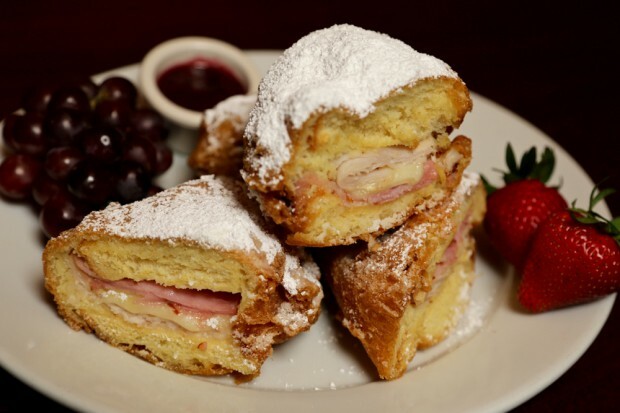 This restaurant is located inside the Pirates of the Caribbean attraction, and features appetizers, salads, seafood, chicken & beef dishes as well as its famous Monte Cristo sandwich, all with a New Orleans flair. Healthy selections, Kosher and vegetarian options are available. (Lunch and Dinner). This restaurant is a little pricey, but has a great atmosphere. Limited same day reservations are taken at the entrance to the restaurant. Priority seating is recommended. 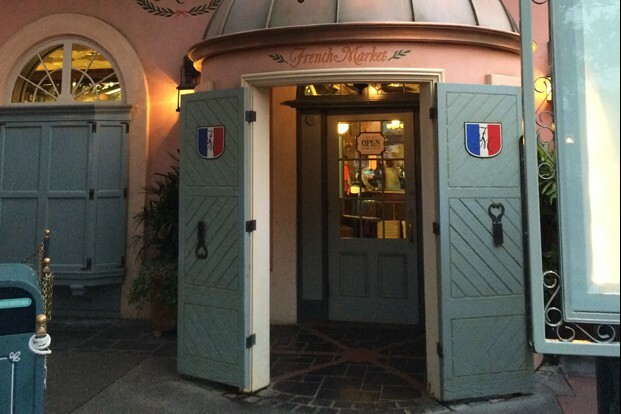 French Market has covered patio and features southern-themed dishes, including jambalaya, roasted chicken, salmon, and delicious desserts. On weekend afternoons, a jazz band will entertain the guests while they eat. 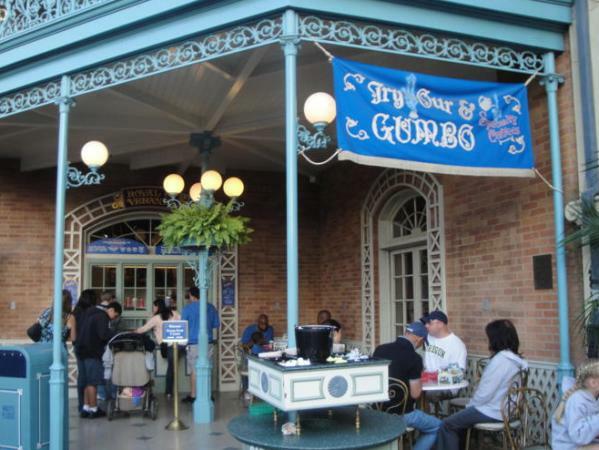 For a nice break in New Orleans Square, Cafe Orleans offers Cajun-Creole including New Orleans Gumbo. 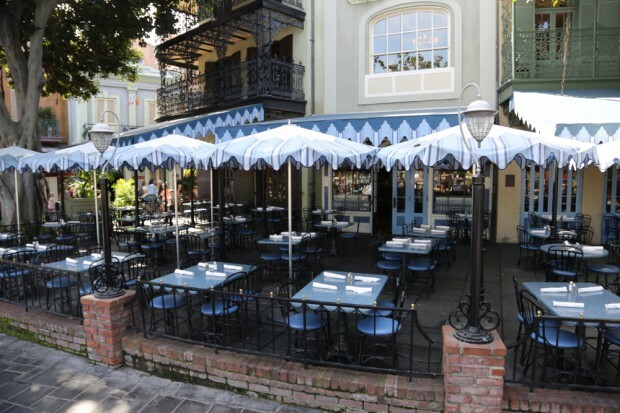 Start with their popular Pommes Frittes, then enjoy a seafood crepe or maybe a Monte Cristo sandwich and finish with some Mickey-shaped beignets. 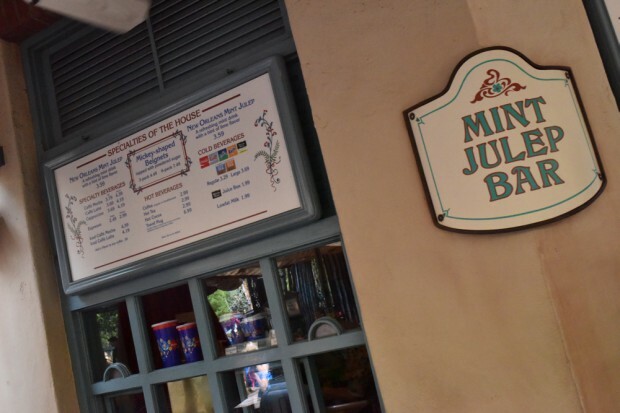 Non-alcoholic Mint Juleps and beignets, plus other hot and cold beverages. Near the stairs to the Disney Dream Suite, this counter service restaurant features clam chowder in a bread bowl, gumbo and desserts. Specialty coffees are also available. (Lunch and Dinner) Outside dining available. Offers American type fare, such as chicken sandwiches, cheeseburgers, fries, etc. You can sit above, or downstairs near the river and watch the boats and canoes go by. Kids meals are also available. Lunch and Dinner. 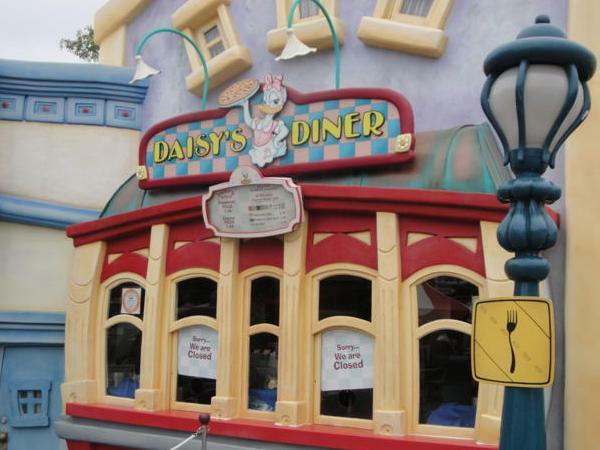 This restaurant on the banks of the Rivers of America offers chowder and soups served in bread bowls, plus entree sized salads, baked potatoes and drinks. Dine on classic Mexican specialties and bask in the romance and heritage of early California. 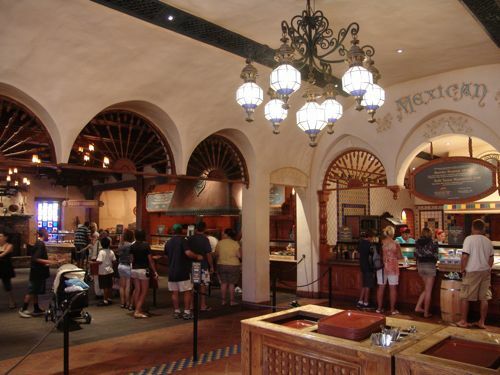 Menu items include burritos, nachos and much more. You can sit inside, or in the Mexican themed patio. Lunch and Dinner. 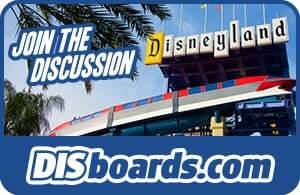 Eat indoors or out on the terrace overlooking the Rivers of America. Options include BBQ ribs, oven-roasted BBQ chicken or a tasty brisket sandwich. Vegetarian options are available. Kids Meals are also available. Breakfast, Lunch and Dinner. 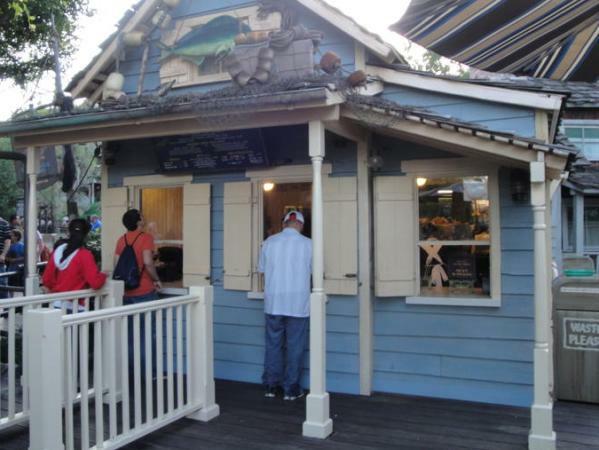 You can get chicken nuggets, fish & chips, and corn dogs here. Finish off your meal with a funnel cake. 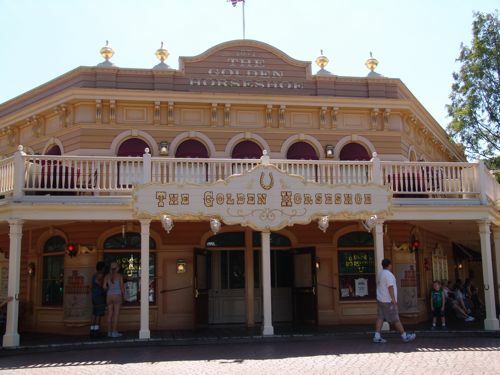 The Stage Door Café is located between the Golden Horseshoe and the River Belle Terrace. 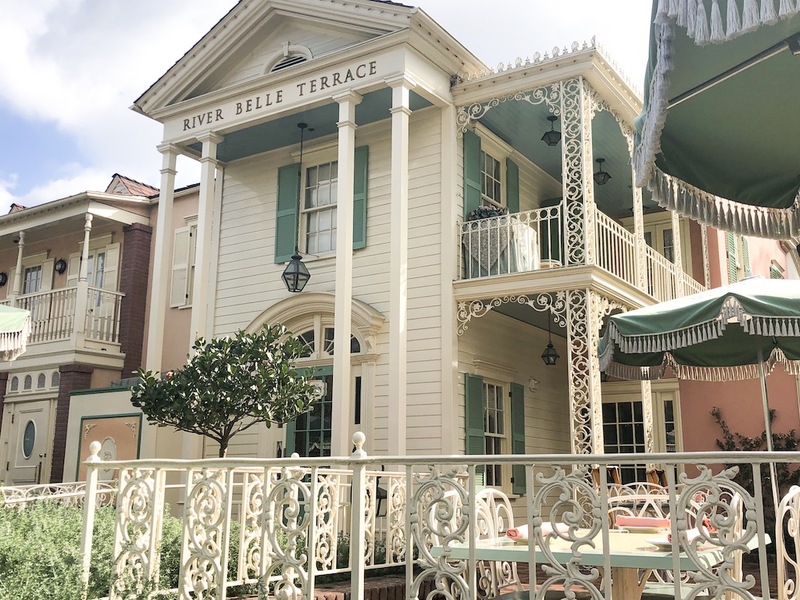 Some seating is available near the River Belle Terrace. Grab a bite to eat, sit back and enjoy the show. Chicken nuggets, fish & chips and cold beverages. Grab lunch or dinner before the show! 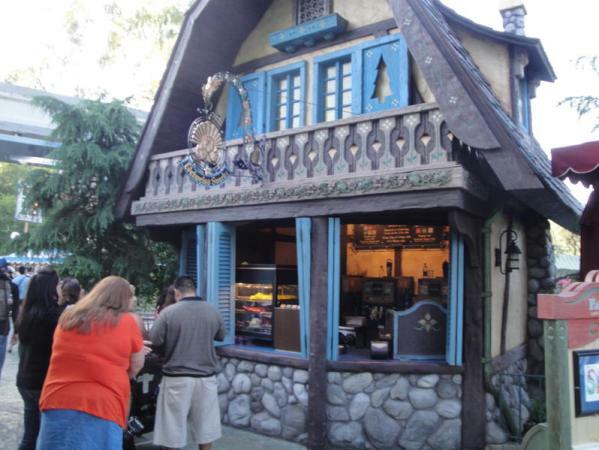 This little restaurant is Beauty and the Beast themed, and serves French-inspired flatbreads, burgers, and sandwiches. 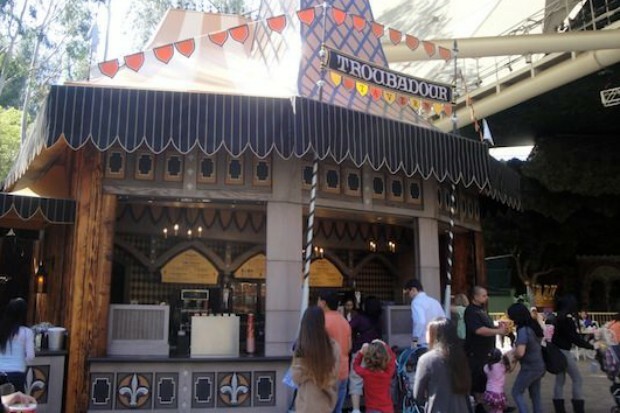 It is located on the backside of Fantasyland near the Dumbo attraction. Breakfast, Lunch and Dinner. 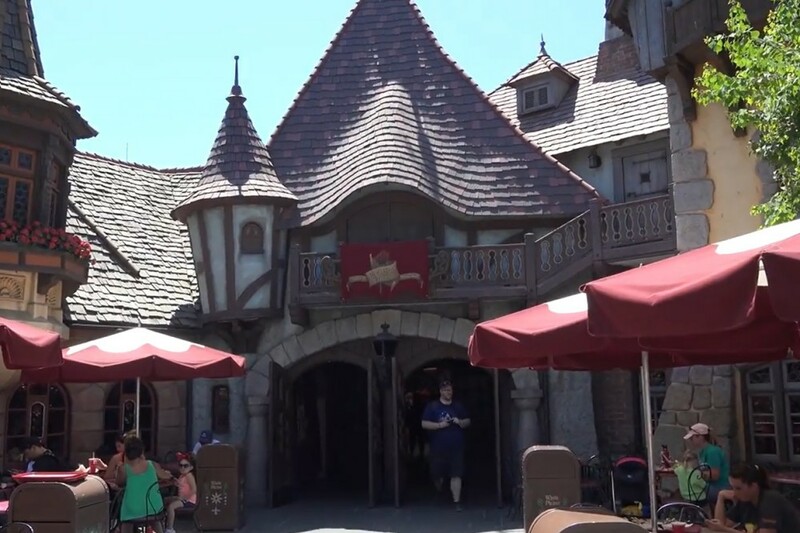 This location is made to look like a medieval tent at a royal tournament and feature bratwurst, corn on the cob and a selection of frozen desserts. 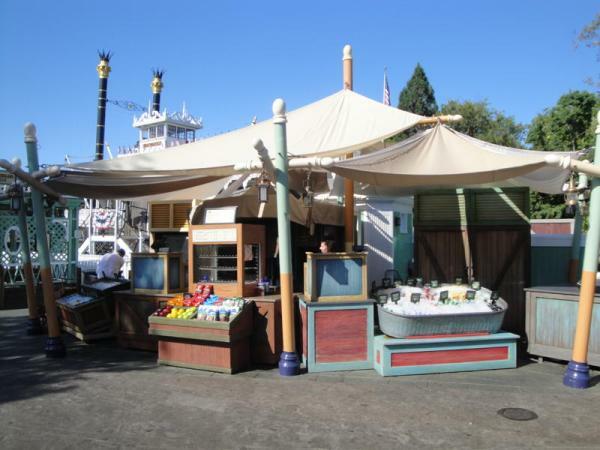 Located inside Fantasy Faire, this is the spot for both sweet and savory twist pastries, plus a refreshing Boysen-apple freeze. 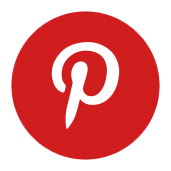 Frozen chocolate and vanilla swirl yogurt is a favorite here! Mickey shaped krispie treats and sundaes also available. Pizza, salads and desserts. Outdoor seating is available. 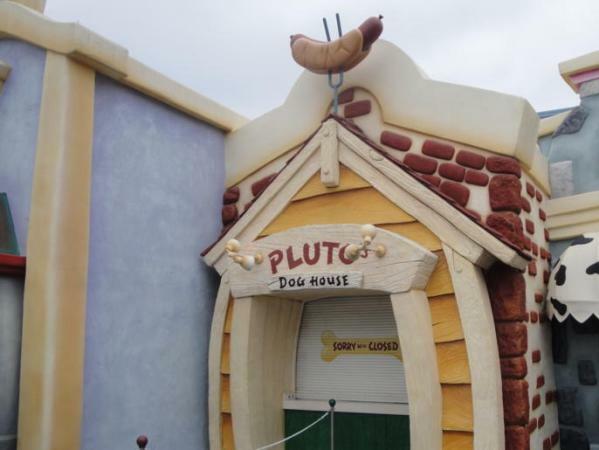 Hot dogs and cold beverages. Children's meals. Outdoor seating is available. 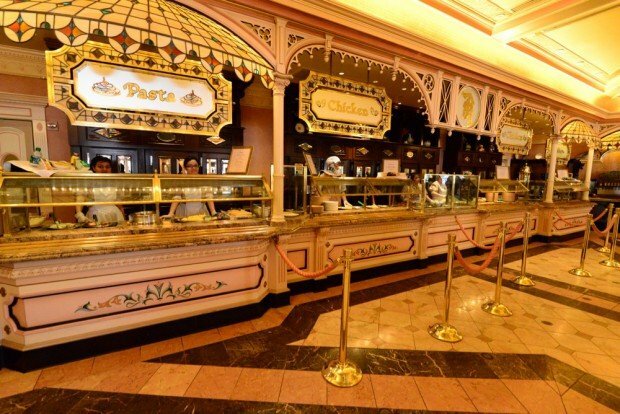 This restaurant offers pizza, Caesar salad, and pasta. You can eat inside, or “outside” in a covered area. Here you can order cheeseburgers, chicken breast sandwiches, tortilla wraps, fries, etc. 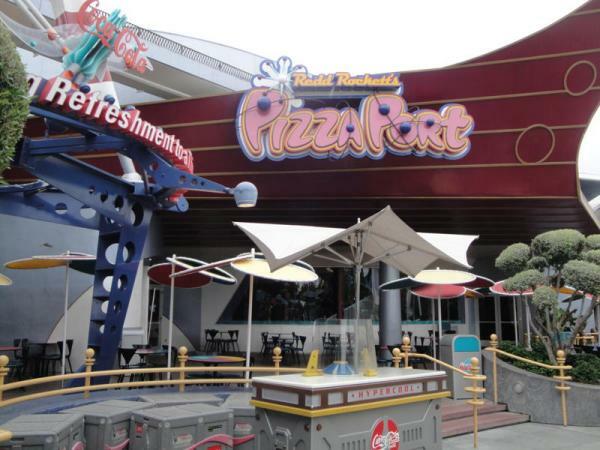 During a Star Wars promotion, the Tomorrowland Terrace was renamed the Galactic Grill. The signs are now gone, but the location is called both Tomorrowland Terrace and Galactic Grill, depending on who you ask.